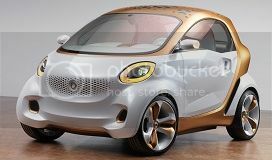 A few hours after the first teaser, pictures of the Smart Fourjoy Concept appeared online. 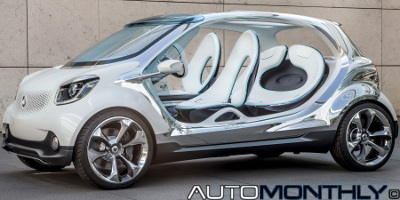 Nothing else is known, but we can see it doesn't have any doors, it's an electric vehicle, it has room for four passengers, and it serves to preview the next-generation family of Smart cars. 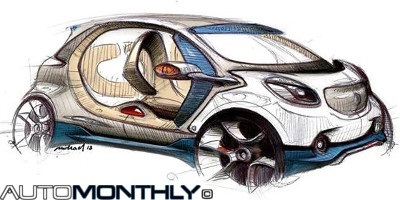 Mercedes revealed a sketch on their Facebook page teasing the upcoming presentation of the next-generation Smart small city car. In this image we see a four-seater car with no doors that looks to be an evolution of the Smart Forstars and the Smart Forvision concepts revealed in 2012 and 2011, respectively. 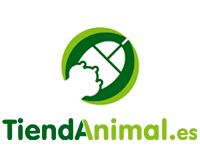 According to CarMagazine, Renault withdrew the development, together with Daimler, of the Smart ForTwo's twin brother codenamed Project Edison, in order to save money and manpower, meaning the Germans will have to continue the development alone. 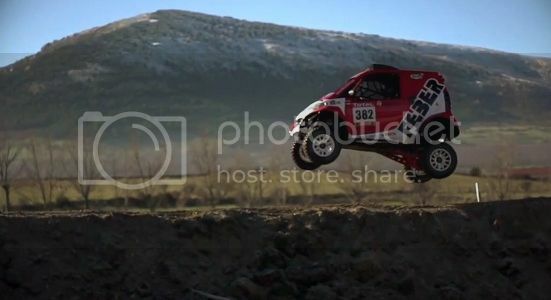 The smart can jump and with the number 382, the Spanish driver Jose Luis Alvarez, "JL", will race in the 2013 Dakar on a Smart Feber 1000 all alone and without assistance. At least that's what it says in the youtube page, on their website they tell another story, revealing a support team. Imagine living in a city full of hills and you love riding your bicycle but don't want to get to work or school all sweaty and smelling bad because, well, it isn't good. But don't fear, the future is here!